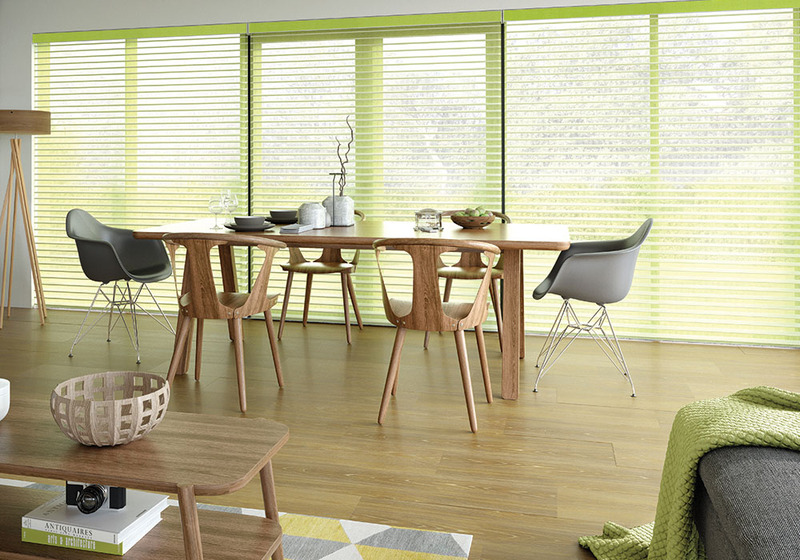 Visage blinds bring a feeling of warmth and security into any home through their soft undulating and unique operation. 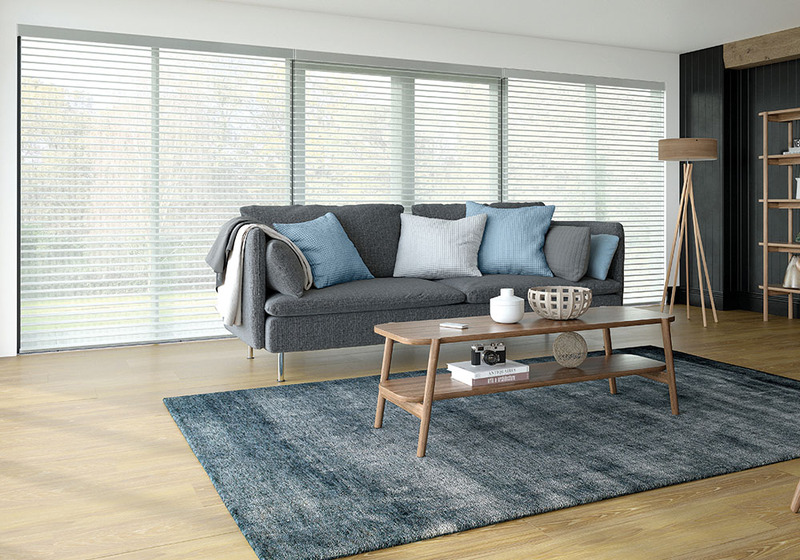 Made of two layers of soft fabric connected by horizontal sheer vanes, the vanes gently filter sunlight and maintain different levels of privacy and UV protection. 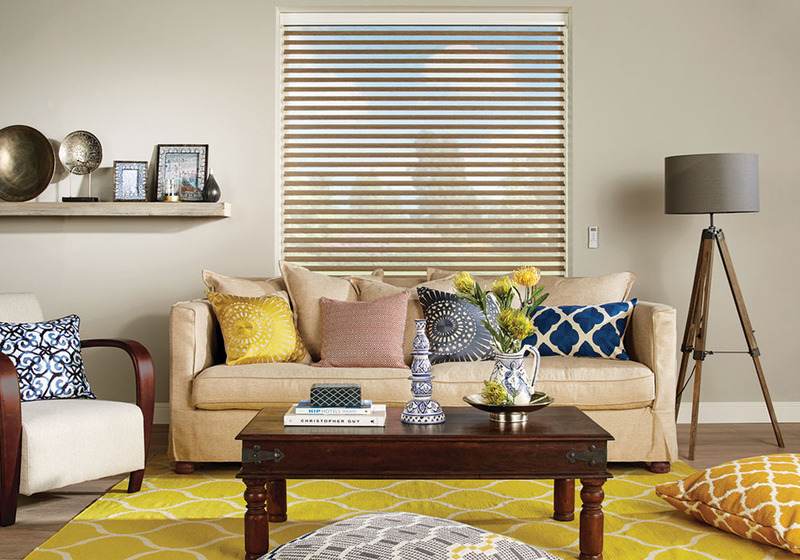 The soft fabric, while ensuring a view outdoors, keeps prying eyes out. 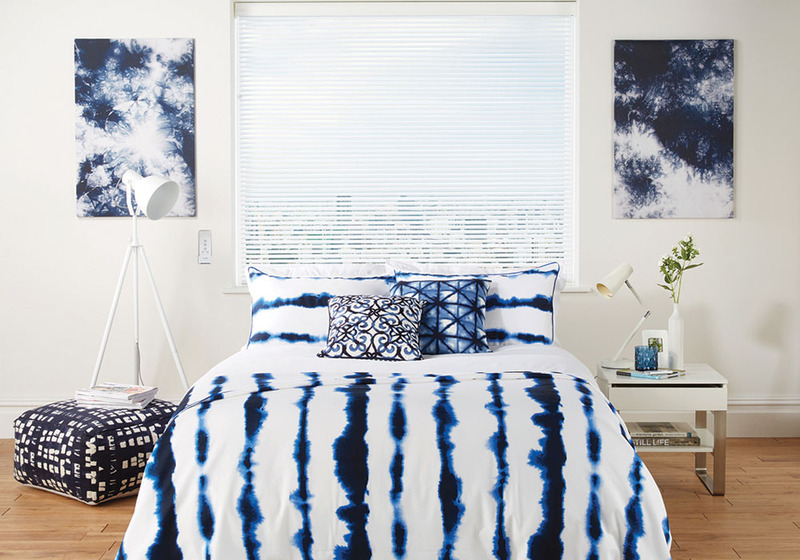 Create your Visage style today. 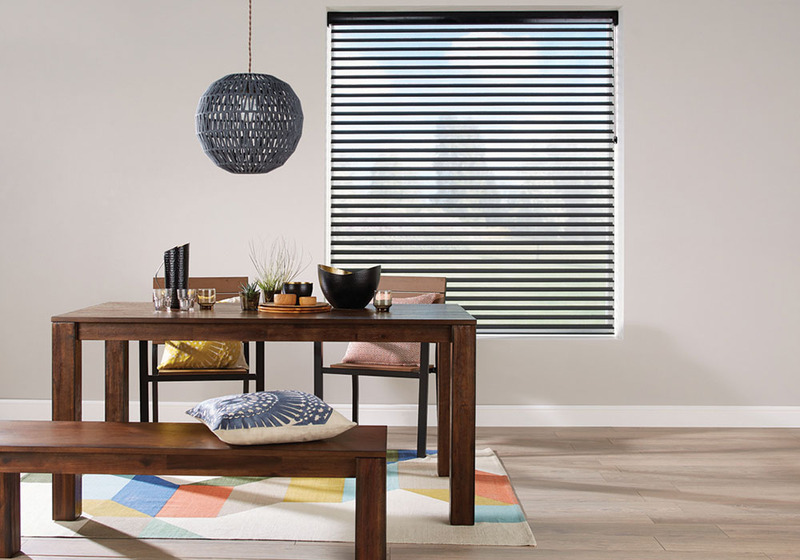 The blind can be fully raised to give a full outside view, it can be lowered with the sheer vanes aligned to control the light and retain a view with some privacy during the day, or it can be fully closed for total privacy in the evening. 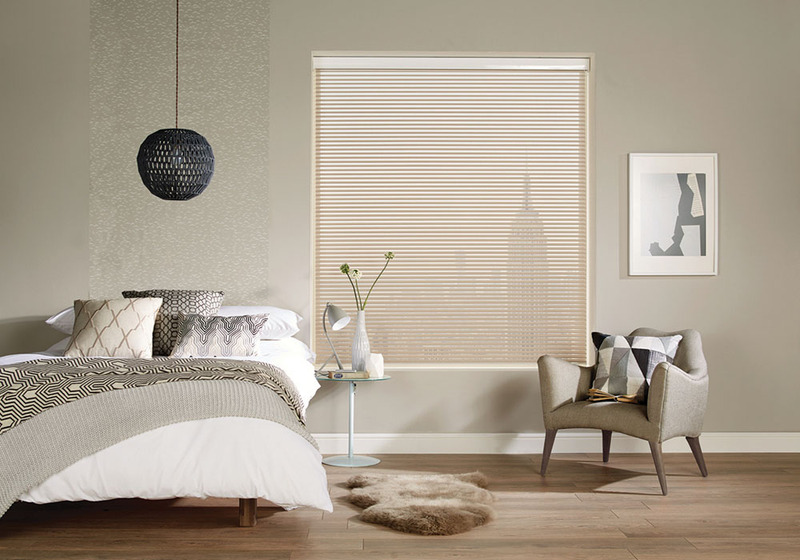 Increase privacy levels and filter daylight more conveniently with the addition of luxury motorisation for your Visage blind. 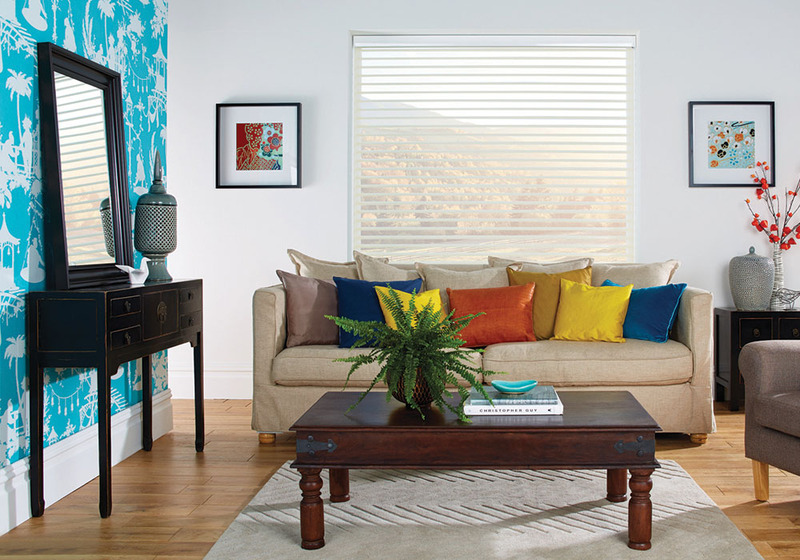 Using either a rechargeable battery powered motor or mains powered motor, with remote control, the blind can be raised or lowered at the touch of a button. 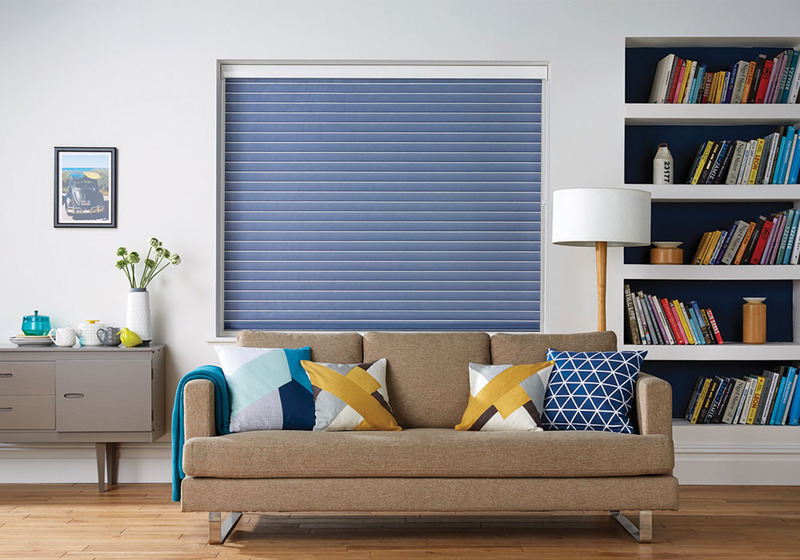 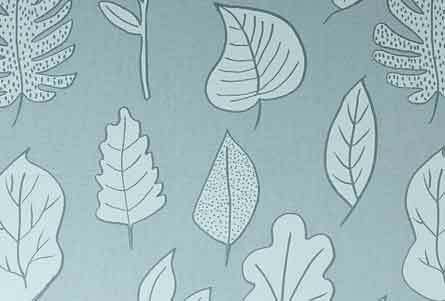 Please confirm the care instructions with your retailer, when purchasing your SLX Visage Blinds, as the care instructions will differ depending on the blind fabric chosen.